Stylish, one bedroom, self contained chalets. Ideal couples retreat. Self contained, one bedroom, studio style chalets. Suitable for couples. 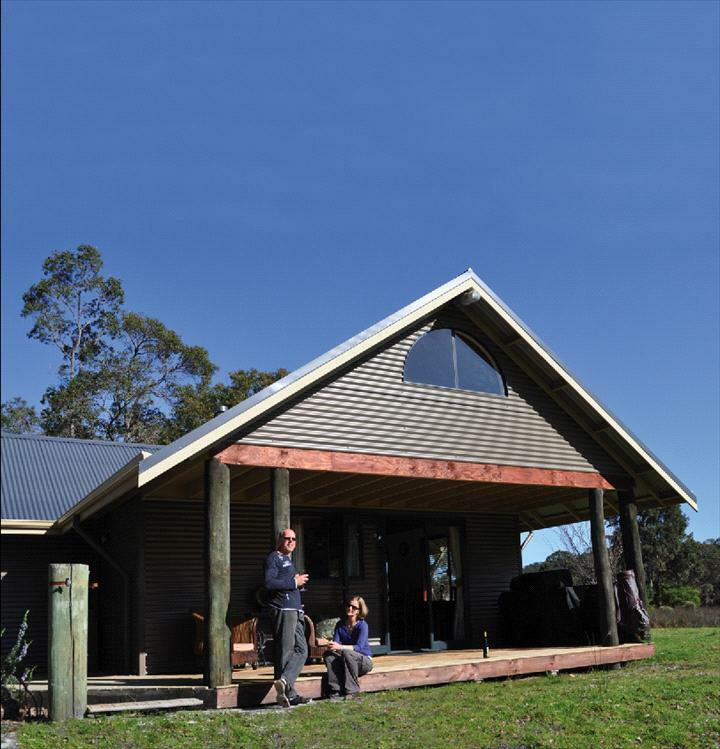 Private accommodation set in rural bush land. Enjoy the tranquil surroundings with the benefit of being located in the heart of Scotsdale tourist drive, close to local wineries and only ten minutes drive from Denmark town or the famous Green's Pool situated in William Bay National Park. Relax and unwind in the contemporary, self-contained studio chalets with unique styling and attention to detail with all the comforts of home. Relax on the verandah overlooking peaceful rural bush land, soak in the solitude and listen to the wildlife. Designed with couples in mind, ideal for either a summer or winter retreat, with ceiling fan or cosy wood fire, depending on the season. MORE THAN 30 DAYS PRIOR TO ARRIVAL: 50% refund. LESS THAN 30 DAYS PRIOR TO ARRIVAL: No refund. Your credit card details will be held on file as a security bond against damage extra cleaning costs and breakages. Parties and Functions are strictly prohibited. The price charged is for domestic use only and not commercial. Accordingly this rate does not allow for the extra wear associated with functions in terms of cleaning garbage removal wear and tear repairs etc. Use contrary to this may result in additional payments. Damage breakages theft and loss are the tenants responsibility during their stay. You must notify us of any damage immediately. Management may recover from you repair or replacement cost (at Managements discretion). Departure - the property should be left in a similar state to its condition on arrival. Extra cleaning charges may be incurred for the cleaning of dirty dishes dishwasher emptying the fridge removal of excessive rubbish etc. Should the cleaning fee be more than the usual cost for cleaning the property Management may recover from you additional costs (at Managements discretion). Check-out time is 10:00 by the latest to allow time to prepare property for next guests. Late departure is subject to prior arrangement and availability and extra charges will apply.